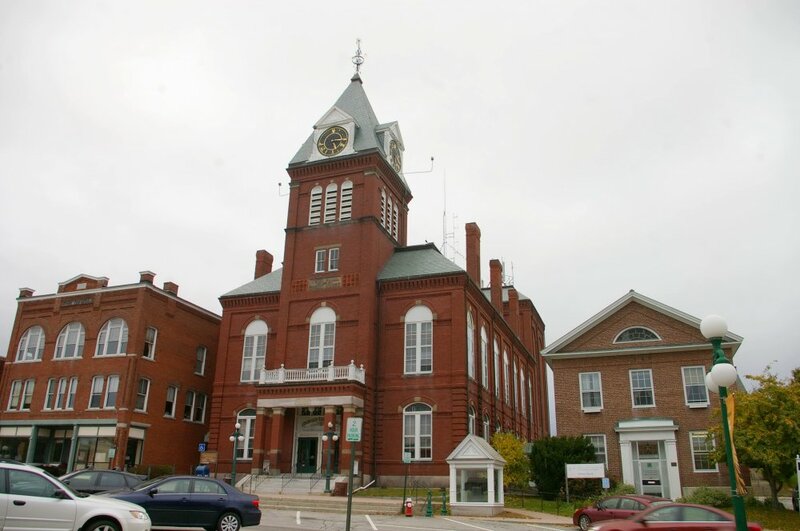 Sullivan County is named for John Sullivan, who was the third and fifth governor of New Hampshire. Description: The building faces west. and is a two story red colored brick structure. The west front has a one story red colored brick portico supported by four brick pillars and with balcony on the second story. The recessed entrance has double doors. 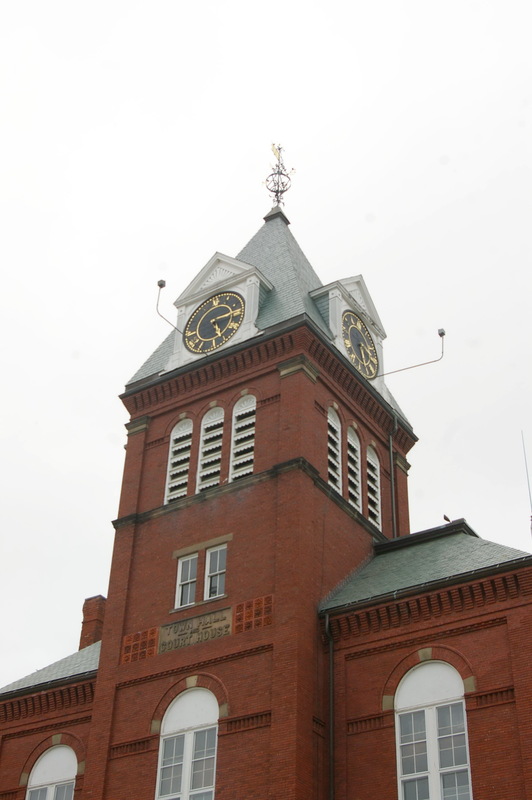 A square brick clock tower rises four stories with large arched window on the second story and clock and steep roof at the top. The building has high arched windows. The roof is hipped. The building burned on June 27, 1885 and was rebuilt in 1886 by Hira R Beckwith of Claremont. Description: The building faces west. and is a two story red colored brick structure. 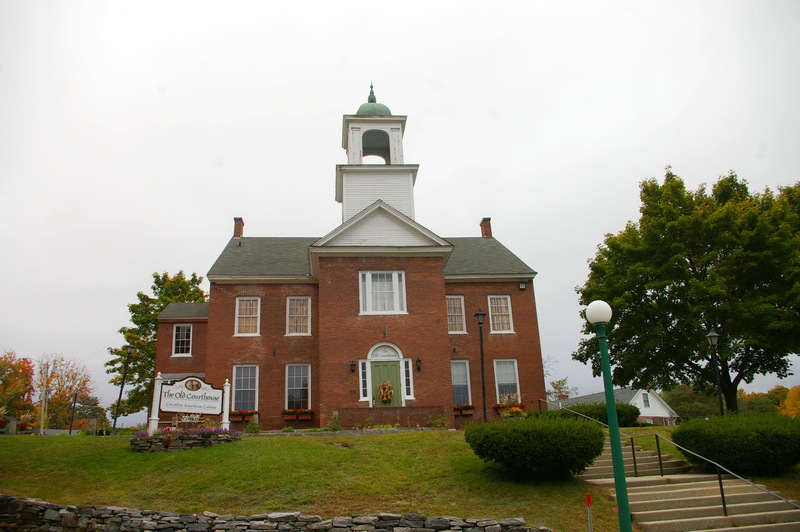 The building sits on a hill behind the courthouse. The center section projects with first story entrance and pediment at the roof line. Behind, rises a large square white colored wood bell tower with open section and green colored dome at the top. The roof is hipped. 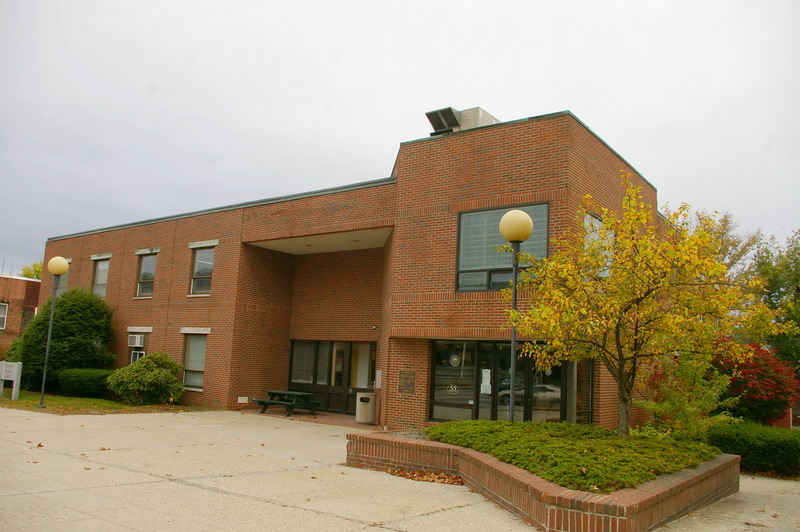 Description: The building faces east.and is a two story red colored brick and concrete structure. The east front has a central recessed section. The roof line is flat. The building was remodeled in 2003. The contractor was Trumbell-Nelson construction Company, Inc. of Hanover. 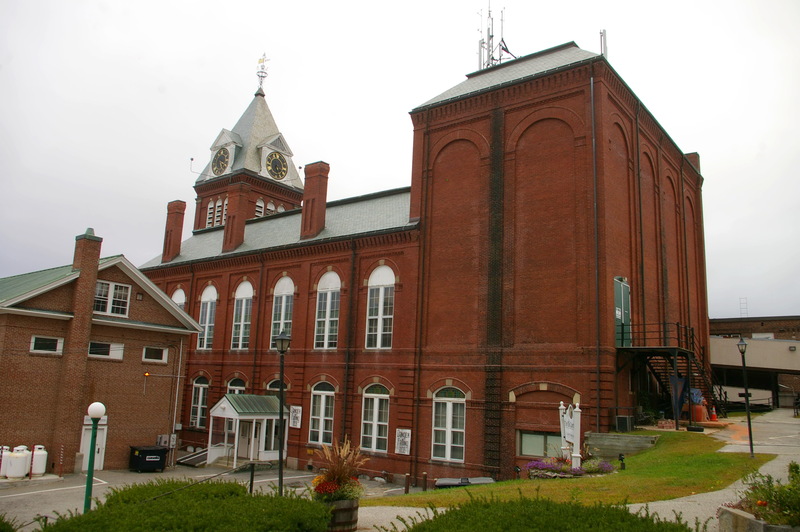 Description: The building faces south.and is a two story red colored brick structure. 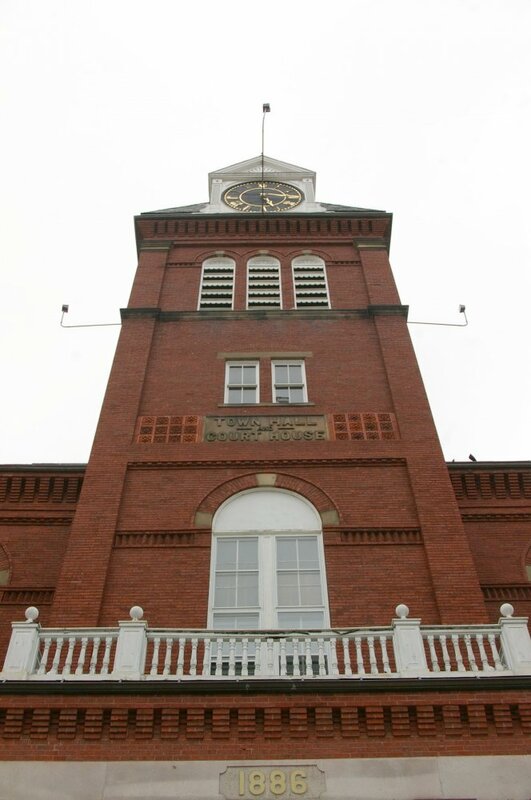 The south front has five story clock tower which projects from the main building and rises to a clock and green colored dome at the top. The second story windows of the building are arched. 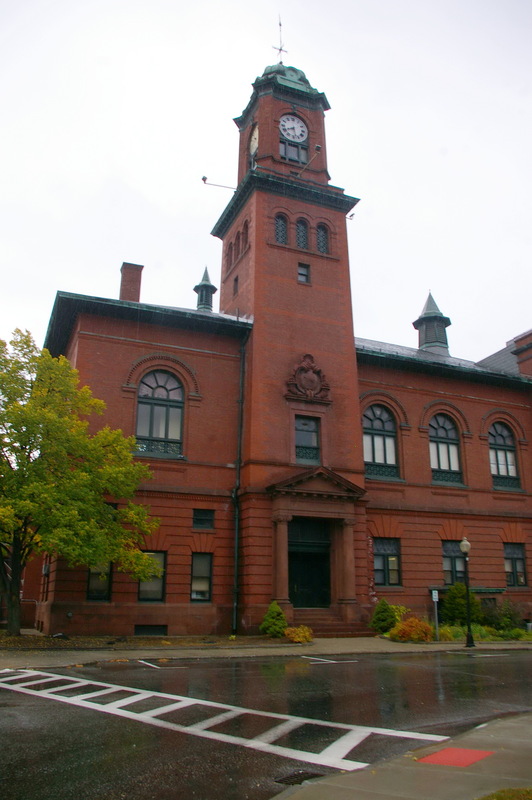 The east side has a large rectangular section, The building houses the city offices and the opera and incorporates the old yellow colored brick courthouse constructed in 1929 and located on the northeast side. The buildings front on an enclosed atrium on the north side constructed in 1977 to 1979. 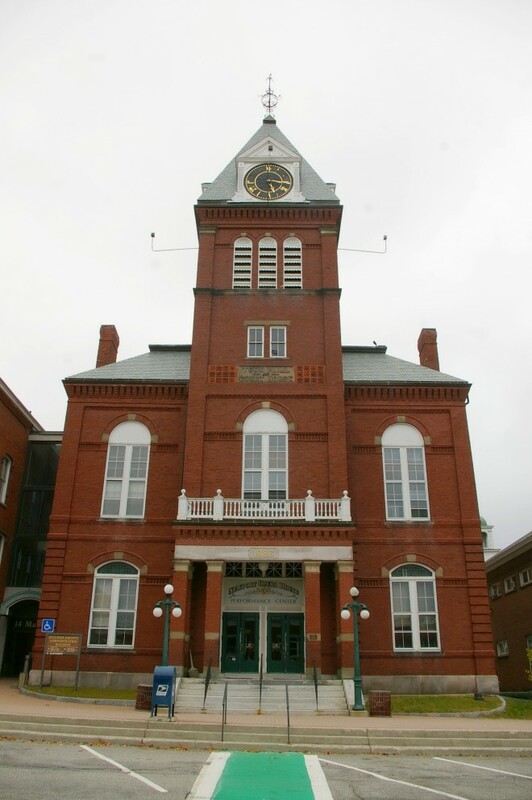 The architect was Paul Mirski of Enfield and the contractor was Salla Construction Company of Winooski, Vermont.